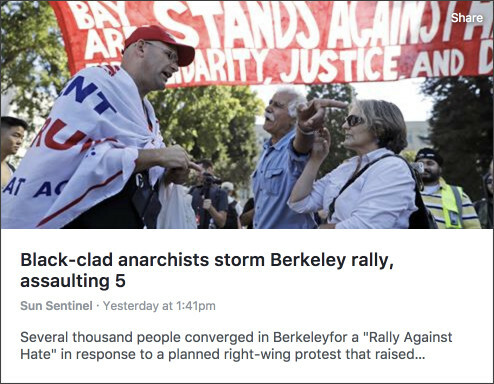 Here’s how different media outlets covered yesterday’s Berkeley rally . 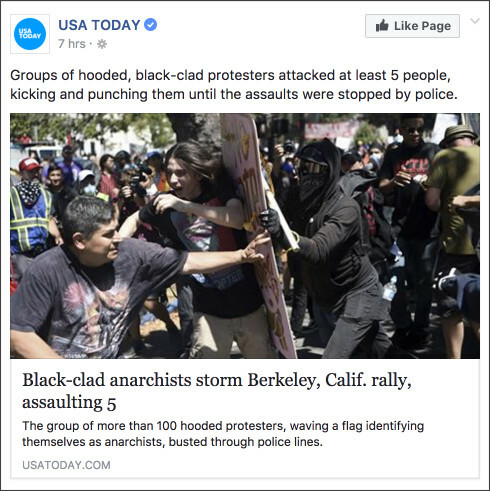 . .
USA Today and the Sun-Sentinel, a Florida paper, play it straight up, telling us what happened and who was responsible: Black-clad anarchists stormed the rally, fighting against hate by kicking and punching people until police intervened. 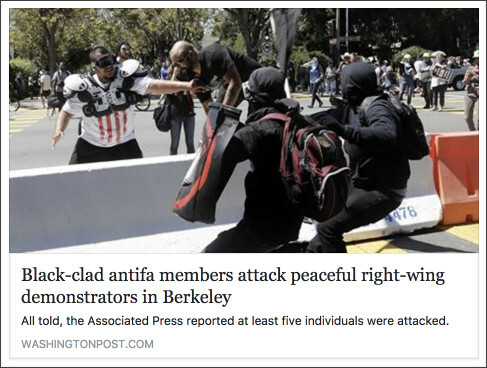 Even the Washington Post, the most left-wing, anti-Trump paper in America, which recently informed readers that there is no political violence on the left, got this one right. 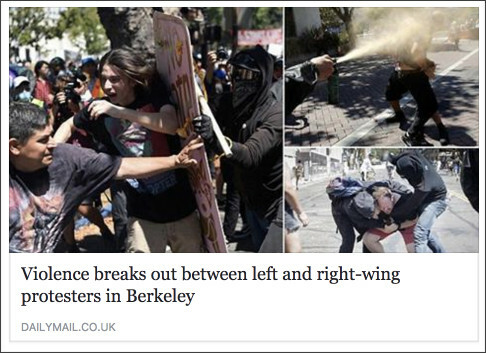 The Daily Mail uses the same photo as USA Today but reports only that violence broke out between the two sides. If they know any more about who was responsible, they’re not saying. 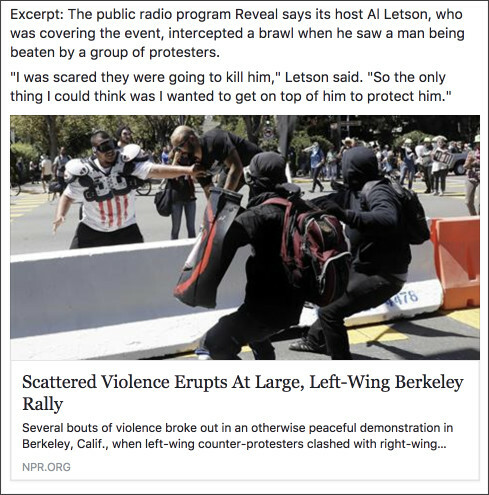 True story, NPR couldn’t figure out how the “aggressors” were “aligned.” They must have had some big brains working on that one.